John R. (Frenchy) DeMoisey, 50, of Georgetown, a University of Kentucky basketball star who later served as administrative assistant to former Gov. A.B. Chandler, died at 2:30 a.m. yesterday at Good Samaritan Hospital. He suffered a heart attack July 24 while driving to Lexington but was able to continue to the hospital. His condition had been listed as critical since he was admitted. 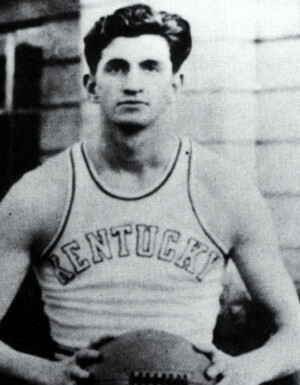 DeMoisey played basketball at UK in the 1930s. He made All Southeastern Conference in 1933-34 and was named All America in 1934, the same year he served as captain of the team. 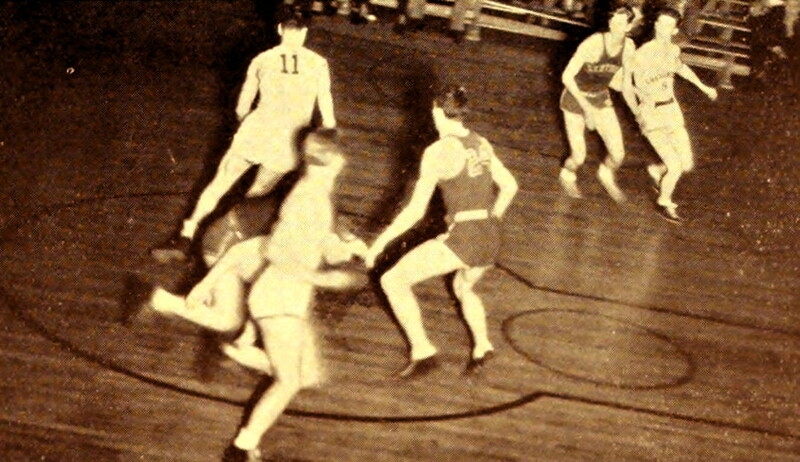 During his basketball career, the Wildcats won 50 games and lost six and, in 1933, were named Southeastern Conference and Helms National champions. 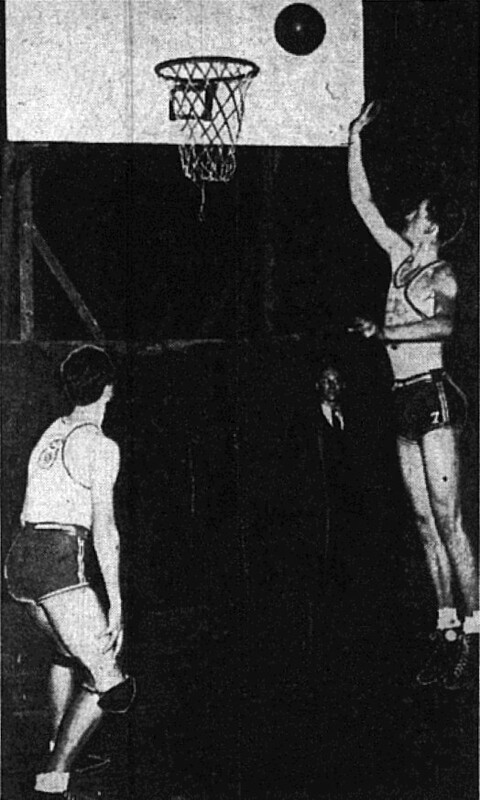 UK Coach Adolph Rupp credited DeMoisey with being the first basketball player to use the one-hand overhead pivot shot. 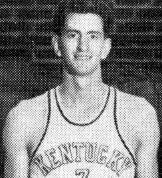 The six-foot, five-inch tall All America developed the shot in 1932 and first used it in a game between UK and Vanderbilt, according to Rupp. DeMoisey graduated from the University in 1934 and played baseball with the old American Association for a time. He later served as recreation director for the Kentucky Houses of Reform at Greendale and became superintendent there in 1941, a post he held three years before resigning to manage the Blue Grass farms of the LeBus brothers. DeMoisey also taught school and coached basketball at Harrodsburg and Grayson high schools and once pitched for the Louisville Colonels. He also was a well-known referee of amateur athletic contests in the Central Kentucky area. 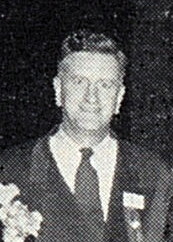 DeMoisey participated in the 1935 political campaign conducted by Chandler and joined his first administration in 1963. 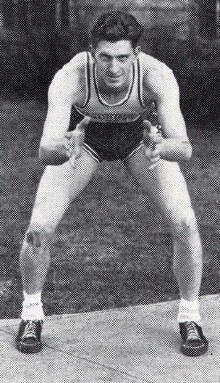 His son, John Chandler DeMoisey, a senior at Georgetown College, is named for the former governor. It was DeMoisey's services as administrative assistant to Chandler during his 1955-59 term that brought charges that he had accepted financial kickbacks from persons selling equipment to he state - charges that DeMoisey denied. Former Gov. Chandler said yesterday, "He will be missed by thousands of Kentuckians who were his friends and mine. "He was a big, rugged fellow. I used to ask one of my granddaughters how much she loved me and she'd say, 'As big as Frenchy'." Chandler estimated that DeMoisey had driven him 'more than a million miles' during his campaigns and added, "He was a devoted and beloved friend." Rupp called him "a self-made basketball player who worked and worked at it. It was encouraging to see the boy play. "His death comes as a great loss, not only to the University, but to the entire state." DeMoisey was a native of Boone County and a son of a Baptist minister. Besides his son, survivors include his wife, Mrs. Dorothy Downing DeMoisey; a daughter, Mrs. Robert W. Steffer, Ft. Knox; his mother, Mrs. R.F. DeMoisey, Walton; a sister, Mrs. Charles Z. Allphin, Crittenden, and four brothers, Frank M. DeMoisey, Big Stone Gap, Va.; Jean (Fox) DeMoisey, Ft. Thomas, and Robert and Truett DeMoisey, Walton. The body was taken to the Tucker Funeral Home in Georgetown where services will be conducted at 10:30 a.m. Saturday b the Rev. Franklin McGuire. Burial will be in the Georgetown Cemetery. Bearers will be John Chandler DeMoisey, Frank M. DeMoisey, Jean DeMoisey, Truett DeMoisey, Robert W. Steffer and Charles Allphin. In lieu of flowers, donations should be sent to the Heart Fund.